Mary Ellis’ Love Comes to Paradise. She left Lancaster to hide from her past. She leaves Harmony to find peace. And she ends up in Paradise. She finds a new friend and the man she believes to be her future. Love Comes to Paradise is book two in The New Beginnings series, but can be read as a stand-alone. Mary Ellis reminds us that we all have flaws, but that love covers a multitude of sins. 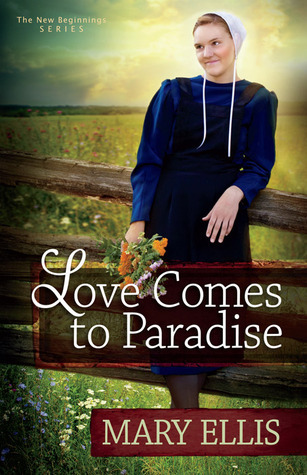 I thoroughly enjoyed this novel, and if you like Amish romance, you will too. 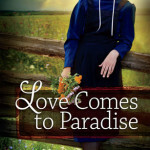 Love Comes to Paradise is the second book in bestselling author Mary Ellis’s New Beginnings series. It’s about fresh starts…and how faith in God and His perfect plans provide the peace and joy all long for. Nora King believes she is a woman in love. When Elam Detweiler leaves the ultraconservative Amish district of Harmony, Maine, and moves to Paradise, Missouri, Nora follows soon after. But does she love the man or the independence and freethinking he represents? Although she finds good work in her new town, Nora can’t seem to capture Elam’s Englisch-leaning heart, no matter how hard she tries. And then, unexpectedly, Lewis Miller comes from Harmony to offer Nora what every woman needs-a lifetime of unconditional love. As Lewis attempts to claim her heart, Elam’s interest piques. Will Nora come to her senses before Elam’s thoughtless choices ruin her reputation beyond repair?